Mubychem Group, established in 1976, is the pioneer manufacturer of Ammonium Bicarbonate, Pharmaceutical, Fragrance & Flavor chemicals in India. Mubychem Group has several manufacturing facilities spread across Gujarat and Mumbai India and world wide contacts and toll manufacturers. We are exporting globally to countries like USA, Europe, UAE, South Africa, Tanzania, Kenya, Egypt, Nigeria, Uganda, Turkey, Mexico, Brazil, Chile, Argentina, Dubai Indonesia etc. Ammonium Hydrogen Carbonate contains not less than 98.0 per cent and not more than 101.0 per cent of the equivalent of ammonium hydrogen carbonate. A fine, white, crystalline powder or white crystals, slightly hygroscopic, freely soluble in water, practically insoluble in alcohol. It volatilizes rapidly at 60C. The volatilization takes place slowly at ambient temperatures if the substance is slightly moist. It is in a state of equilibrium with ammonium carbamate. A. It gives the reaction of carbonates and bicarbonates. B. Dissolve 50 mg in 2 ml of water. The solution gives the reaction of ammonium salts. Dissolve 14.0 g in 100 ml of distilled water. Boil to remove the ammonia, allow to cool and dilute to 100.0 ml with distilled water. Dilute 5 ml of solution S to 15 ml with water. The solution complies with the limit test for chlorides (70 ppm). Dilute 1.8 ml of solution S to 10 ml with water. The solution complies with the limit test for iron (40 ppm). 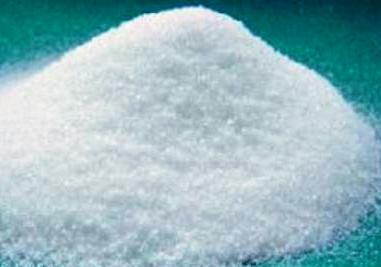 Ammonium Bicarbonate occurs as white crystals or as a crystalline powder. It volatilizes rapidly at 60°, dissociating into ammonia, carbon dioxide, and water, but it is quite stable at room temperature. One gram dissolves in about 6mL of water. It is insoluble in alcohol. Identification: A sample gives positive tests for Ammonium and for Bicarbonate. Assay: Not less than 99.0% and not more than 100.5% of NH4HCO3. Nonvolatile Residue: Not more than 0.05% (0.55% for products containing a suitable ant caking agent). Sulfur Compounds (as SO4): Not more than 0.007%.